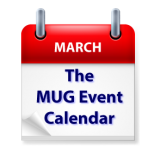 The highlight of this week’s MUG Event Calendar is a visit by Derrick Story to a California MUG to discuss Apple’s Photos. A Pennsylvania group will look at Boinx’ FotoMagico, two different Florida groups will be looking at Numbers, and a Canadian group will talk about, of all things, Pokemon. Silicon Valley Mac User Group – Derrick Story – MacOS Photos app, editing extensions & more. It’s More Powerful than You Think! Keystone MacCentral – A demonstration of FotoMagico – the easiest way to create a gorgeous slideshow on your Mac using your photos, videos, music and text. Los Angeles Creative Pro Users Group – Nat Sanders and Joi McMillion, editors of the critically acclaimed film Moonlight, the 2017 recipient of the Academy Award for Best Picture. Yes, there will be plenty of time for questions. Plus, very excited to welcome back to lacpug, Kevin Klauber ACE. He will be joined by Editor/Director Jason Zeldes. Kevin and Jason will talk on "Embracing Accidents."